Shigatse, is a prefecture-level city of Tibet, with an area of 182,000 square kilometer. It is the second-largest city in Tibet, also a hot tourist destination. Accommodations in Shigatse various for different destinations in Shigatse prefecture. Tibet Travel Expert Service, a local Lhasa travel agency, shares firsthand information about in Shigatse Prefecture. In Gyantse city, there are only 3-star hotels available for foreigners. Mostly used 3-star hotels used in Gyantse are Gyantse Yeti Hotel and Gyantse Hotel. 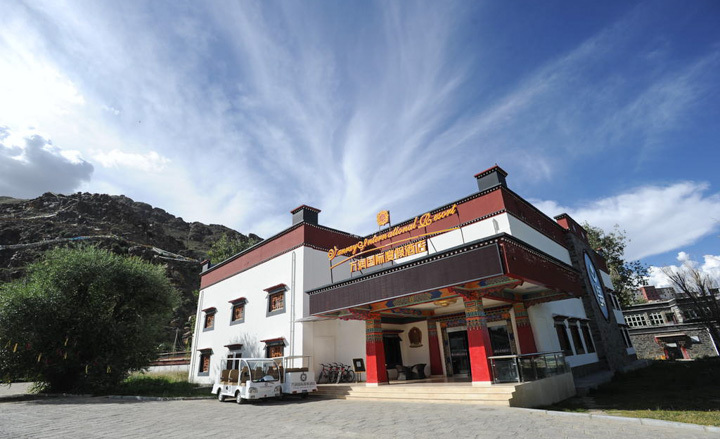 In Shigatse city, there are 3-, 4- and 5-star hotels available for foreigners. One of the most popular among travellers is Gesar Hotel, 4-star. The altitude in Shigatse is around 3,836m. A good night’s sleep is extremely essential, especially you will travel further to Mt Everest in Shigatse prefecture. Everest National Nature Reserve in Tingri, Shigatse, covers an area of 3.381 million hectares and serves as one of the hottest tourist attractions in Tibet and an immeasurably valuable base for geological and climatic research. Around Mt Everest area, the accommodation options are really limited. Travelers can stay at Tingri, which is about 110km away from Everest Base Camp. In Tingri, there is guesthouse with twin rooms available. Travelers can also stay the night at Rongbuk Monastery, which is about 8km away from Everest Base Camp. At Rongbuk Monastery, there is a monastery guesthouse provide dorm bed lodging. Or travelers can stay the night at Everest Base Camp during the warmer months of the year, when the nomad tents are in business. The nomad tent at Everest Base Camp is made of yak fur. Inside it there is usually a stove fueled by yak dung to keep the tent warm at night. The tent has several beddings and can accommodate 7-8 people. More than often you will spend the night here sharing the tent with other travellers, your guide and driver, and the tent owner. The nomad tent camp has no bathroom facilities, but communal squat toilets outside the tent.